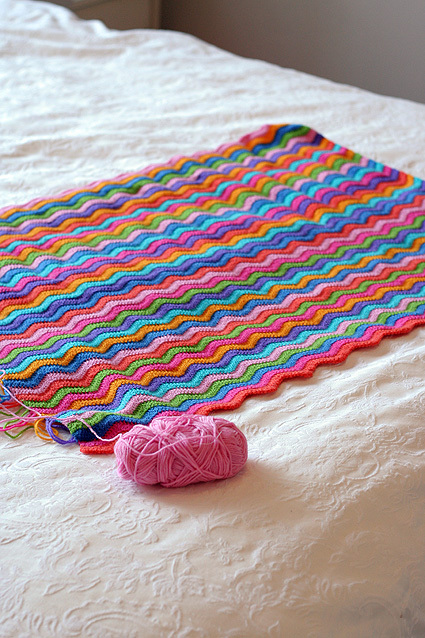 My baby ripple blanket it coming along slowly. I pick it up occasionally, like when I need a small, portable project to take on the train with me. I’m in no hurry with this project! The large granny square for our couch hasn’t been touched in a while. 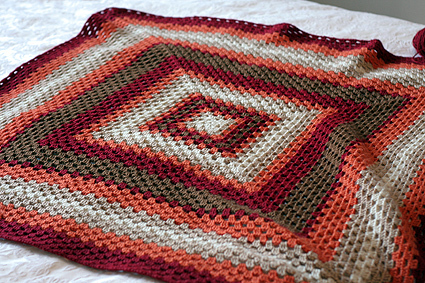 I should probably fasten off where it is and add to it in the future, rather than having it draped over out couch with a ball of yarn attached to the end of it. And of course as soon as I finished my big project, I started on another. Again, I have more projects on the go than I should but I can’t see it ever being any other way!